Click here to read the June issue of Water Watch. This month’s issue of Water Watch features an interview with Professor William H. Rodgers, a remembrance of Sixnit leader Virgil Seymour, an update on the OWL v. KGH hearing, info on our Summer Membership Special, an interview with CELP’s new board member Steve Robinson, and more. “We may have got pushed out of Canada. We may have got pushed out of Kelly Hill. We may have got pushed out of lower Inchelium. But we’re still by the River. We still stay by the River. Inchelium is right next to the River. “Learning. Connecting. Understanding. Education. Outreach — are going to be the keys to connecting us back to the places and our people’s bones. Virgil was a Sinixt member of the Colville Confederated Tribes. While serving three, two-year terms as a tribal councilman for the district of Inchelium he was chairman of the Natural Resources Committee. As an elected official Virgil focused on all issues related to the Columbia River, including the Columbia River Treaty, legacy pollution cleanup of the Columbia River and the litigation against mining giant, Teck Cominco. Virgil was a passionate advocate for Sinixt issues and their fate in Canada. 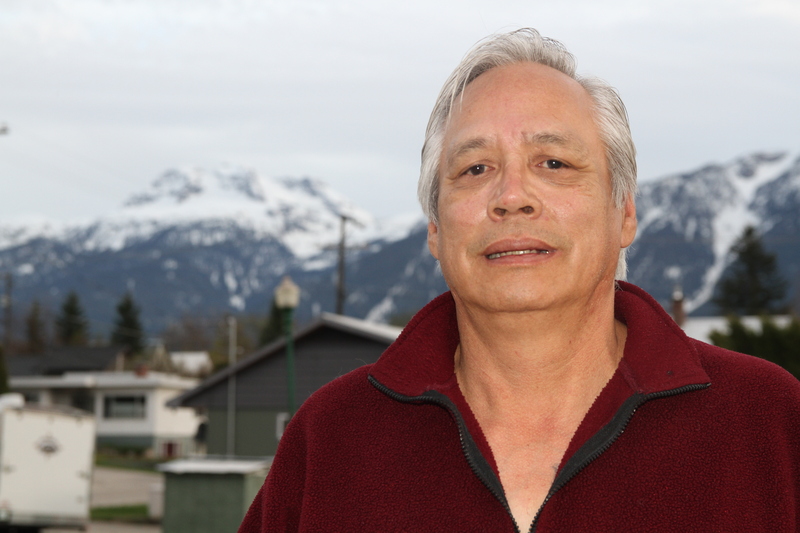 As the Arrow Lakes Facilitator, Virgil worked with tribes, First Nations, and nonindigenous people who all shared an interest in the future of the Columbia River. He was a “true diplomat” for the Sinixt People and, more broadly, for the Columbia River and salmon. In March 215, Virgil and I traveled together for two days to Kelowna B.C. to meet with Anglican Archbishop John Privett and Roman Catholic Bishop John Corriveau about a “One River, Ethics Matter” conference in British Columbia. During those two days, Virgil shared the stories of his boyhood on the Reservation, teenage border crossings, Kelly Hill, and history of the Sinixt Nation. Even from Virgil’s bed at Holy Family Hospital in Spokane, struggling with induction chemotherapy and fevers, he was still focused on his work as Arrow Lakes Facilitator. At one point Virgil handed his phone to connect me with people in Revelstoke. From his hospital bed, Virgil talked repeatedly about the dugout canoes being launched that would converge at Kettle Falls, calling attention to the need to restore salmon. Virgil had so hoped to be a paddler in the Sinixt canoe, and just beamed when he talked about the canoes. While Virgil was able to return home to Inchelium “right next to the River,” he did not live to see the historic tribal gathering just upstream at Kettle Falls. 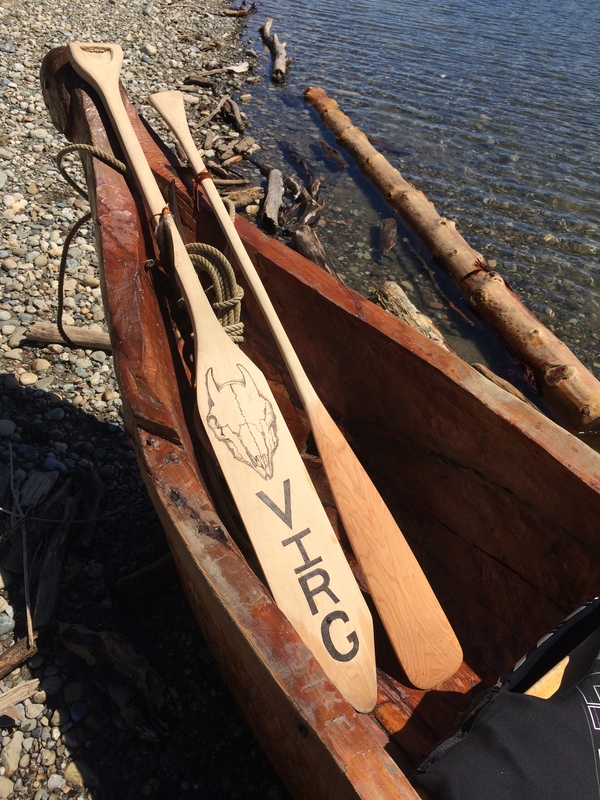 Four days after his death, the Sinixt canoe — with Virgil’s hand carved into it – converged with canoes from the five tribes of the Upper Columbia to celebrate hope of salmon’s return. On that day, tribal leaders noted that Virgil, too, was there. the bones of the Sinixt ancestors exposed by the rise and fall of reservoir levels need to be protected, and the looting of Sinixt artifacts and sacred sites must stop. 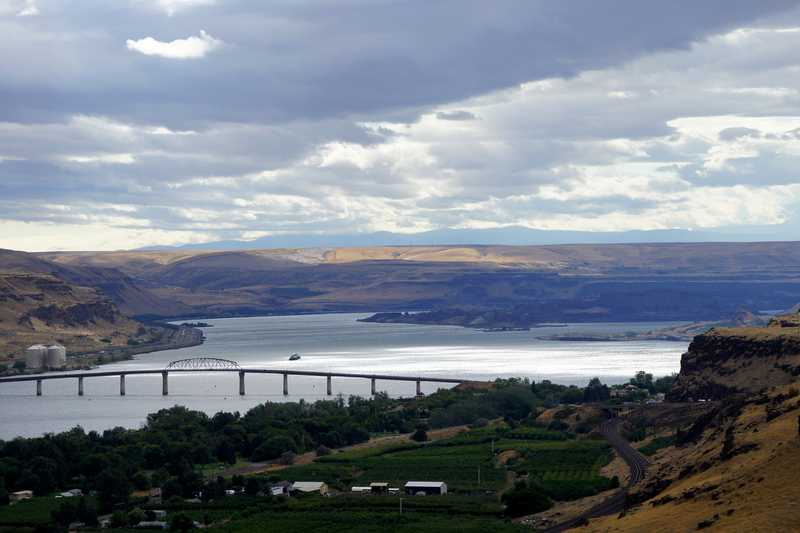 Virgil’s work carries on through the international effort to modernize the Columbia River Treaty based on the ethical principles of stewardship and justice. 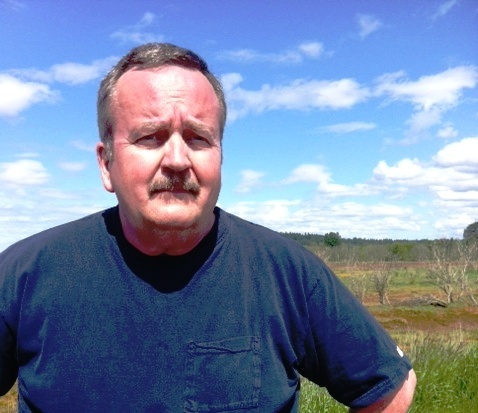 Previously the Public Affairs Manager and Policy Analyst for the Northwest Indian Fisheries Commission for 26 years, Steve Robinson has had a career working closely with tribes on public relations and natural resources, and joined the CELP Board in June 2016. 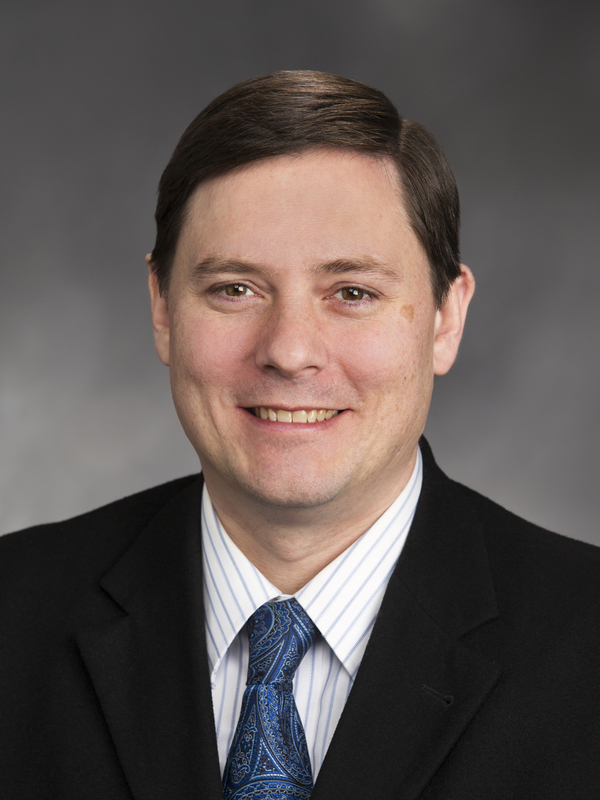 He has also worked in corporate public affairs, served as Chief of Public Information and Public Affairs Director for the Washington State Department of Natural Resources, Advertising Manager for a major real estate company in Portland, Oregon and worked several years as a daily newspaper reporter. I have always known how precious and rare fresh water is. I first became aware of the need to conserve it when I was a boy, fishing on the Calapooia River, which runs through my birth town of Albany, Oregon. Even then, the water in the river would run low in the summer, though it still contained enough to accommodate the activities of a young boy who couldn’t afford a fishing pole. But who needed one? There were plenty of long sticks nearby and all one had to do was tie some fishing line to its end, put a hook and some weight on the other end of the line and dangle it in the water. I became committed to working on conservation during the late ‘60’s and early ‘70’s, as a journalism student at the University of Oregon in Eugene. That was a time of civil unrest, and there was no shortage of boycotts and protests on the UO campus. The message of the masses was to end the war in Vietnam, but also to take better care of the environment. It was a time that gave birth to Earth Day and it was the first time I became active with the Native American Tribes—as a member of the UO Indian Student Union and as a reporter for the University’s daily newspaper. When I commenced my journalism career as a reporter for a daily newspaper in Eastern Oregon, my career of writing about natural resources and the environment continued, and my efforts to support the Tribes continued also as I served as public relations manager for the Indian Festival of Arts. Ultimately, I left the life of a newspaper reporter to get into public relations. I moved to Olympia to take a job as an information officer for the State Department of Natural Resources. I was eventually promoted to Public Affairs Director of that agency. I served on a large number of boards and commissions in my seven years with DNR, including a term as president of the Washington State Information Council. While at DNR I became integrally familiar with the U.S. v. Washington (Boldt) Decision, and produced an article for the New York Times on it. When the Commissioner of Public Lands I served under left office I did a five year stint in corporate public relations. I was also introduced to self-employment, starting a public relations company through which I employed a dozen people. However, after five years as a “corporatier” a job came to my attention that I couldn’t resist: Public Affairs Director for the Northwest Indian Fisheries Commission. Being a husband and father of two children by then, I wasn’t convinced that I really should move back to Olympia. But I decided to give it a shot. I met NWIFC Chairman Billy Frank, Jr. my first day on the job, and I was hooked. I worked for the Commission, serving the Treaty Indian Tribes in Western Washington for the next 26 years. I built a public relations program there, and over the years had golden opportunities to work with the Tribes here as well as indigenous governments and peoples across the country and beyond. My most memorable experience working for the Commission was, without a doubt, the opportunity to work with Billy. I was his “PR guy” and he became my life’s mentor. We worked and travelled together very extensively. I was the very fortunate fellow who got to be with him for thousands of hours, addressing environmental issues from the tribal perspective and standing up for treaty-protected rights near and far. My time with my spiritual brother Billy was the most entrancing and captivating time of my life. I learned so much from him that there are no words to describe it. After his passing on May 5, 2014, I have been dedicated to doing whatever I can to support the continuation and commemoration of his legacy. Among his many posthumous honors, the Nisqually Estuary has been named after him and he was a recent recipient of the Presidential Medal of Freedom—the greatest honor that can be bestowed on a citizen of this country. I now associate closer than ever with his son, Willie, who serves on the Nisqually Tribal Council, which is also a great experience for me. I left the Commission in September of 2010 to start my own public relations business, SR Productions of Olympia. My company is dedicated to serving tribes and to doing all I can to protect and restore the natural heritage of this country. As Public Affairs Manager and as a Policy Analyst for the Northwest Indian Fisheries Commission I have had the honor of working with CELP on a number of critical environmental issues and programs. I have always considered CELP to be a truly great organization, and I have always wholeheartedly supported its purpose and objectives. After I started my business, I also had the opportunity to serve as CELP’s lobbyist in Olympia, and to work with Rachael Pasqual in that capacity. We did extensive work together to support good water quality and quantity legislation and to modify or defeat bad bills. I look forward to serving on the CELP board. I want everyone to know that CELP is a Class A organization dedicated to the protection and restoration of our very precious water resources. I want people to know that fresh water is a threatened resource, one that is far rarer than most realize, and that it is absolutely fundamental to all life. I not only want people to know that each and every one of us depends on clean, fresh water for their very survival, but also that they can help protect it through conservation, prevention of pollution, support for more effective infrastructure and good education. I consider myself a naturalist. I also consider myself a pragmatist. That is not a contradiction. People need homes. They need food. They need wood and they need energy. But they also need a healthy ecosystem. If we continue to destroy the natural environment, nothing else will matter. To me that is not a so-called liberal or left wing philosophy; it is a very practical viewpoint. It is good stewardship—something I believe is everybody’s responsibility. Whenever there is a question about how to manage land, water or air I tend to believe the answer is provided to us by Mother Nature. She did just fine for thousands of years before Euro-Americans and other “newcomers” occupied (over-occupied) this country. Millions of indigenous people got along just fine also. It took just a few hundred years to change all that, and today we face water shortage and water pollution problems. We face extinction of many species, and we are facing climate change, ocean acidification and a host of other challenges. These are the result of poorly informed choices and the voracious appetite of greedy individuals and corporations. Too many people thought, and many still do, that natural resources are endless or that the scars they leave on the Earth are someone else’s problem, or that their property rights give them license to do as they please. They argue that such freedom is fundamental to a democratic society. I say that when the activities of these people and companies transgress against the rights of others to have a livable environment, property rights and the so-called right to block the natural flow of rivers, or pour poison into them, etc. is trumped. What to do about water conservation? Conserve it! By all means available. That includes fair regulation, as well as the opportunity to conserve voluntarily. It means judicious use and the control of waste. It means storage in some incidences, rationing when necessary and education, education, education. I am a strong believer in the power of education. We need to constantly improve environmental education, in schools and in public. People need to learn why they should care and how it affects them. No matter what there will be detractors. But I believe most people, once educated, want to do the right thing. My experience as of late is that most people want to change their approach to water management, in a way that preserves the resource for fish and wildlife. We should support that changing attitude, in a very public way. Recent studies indicate that voluntarism in environmental protection and natural resource management has not been effective, which might lead some to abandon the approach. Not me. I believe every avenue must be taken to achieve water conservation. In many ways voluntarism is integral to success. Working with Billy Frank, Jr., I learned long ago that “getting people to the table” to seek agreement on such issues can be very effective. I also learned that such collaborative approaches are most effective when the stakeholders realize it is far more to their benefit to cooperate than not. The symbolism we often used to make progress was to hold one hand out, ready to shake others’ hands in a very cooperative manner while hovering a club over their heads in the other hand. In other words, keep the option open for them to “do the right thing” but be ready, willing and able to force the issue when necessary. When examining my philosophy about water conservation, it is important to understand that I am tribal, both in spirit and heritage, and that I subscribe to all the elements of the Tribal Water Principles (attached). 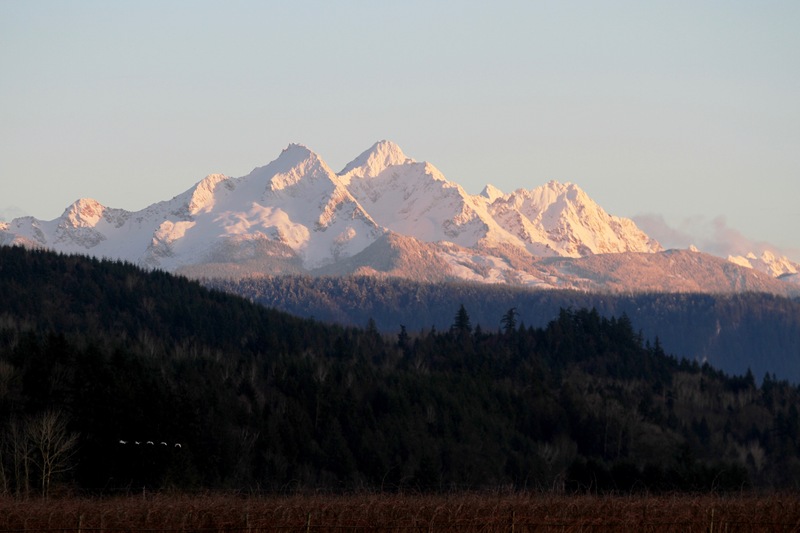 Essentially, this document was developed collaboratively among all the Treaty Indian Tribes in Western Washington in the 1990’s to express their common positions on water management and water rights. I was honored to be included in the discussions that led to this document, which points out that the treaty tribes do inherently and legally retain the right to have sufficient water in streams and rivers to sustain the fisheries resource. In effect, the protection of instream flows is protected by treaties and are thus “the law of the land,” as described in the U.S. Constitution. As stated in principle 5: “Adequate quantity and quality of water is necessary to protect the culture of the tribes, including but not limited to spiritual needs, fishing, hunting, and gathering rights and practices.” The principles also address the fact that treaties protect a reserved tribal right to surface and groundwater sufficient to fulfill the purposes of the reservations as permanent, economically viable homelands, and that this right exists with a priority date no more recent than the date the reservation was established. Why do you support CELP? I have always found CELP to be highly supportive of tribal treaty rights, as well as courageous in its efforts to effect change in water management. These qualities equate to high environmental values and good stewardship. In my writings and in the work I’ve done with Billy Frank, Jr., and with the Tribes in the Northwest and beyond, I have often encouraged people to take action in ways that help improve water management and other critically important environmental efforts. In describing ways to get involved I have suggested joining organizations such as CELP. It is a very good way to provide a collective voice in such efforts. There is strength in numbers, especially when the strength is channeled in the progressive ways CELP has sponsored and endorsed. 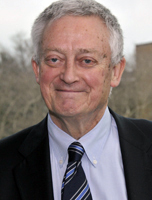 CELP, of course, stands for the Center for Environmental Law and Policy. I think it could also stand for Centering the Energies of Lots of People. CELP has been a leader in the effort to promote water conservation for a long time, and it is an organization which has excelled in helping many people focus their energies in that effort. As owner of SR Productions of Olympia I serve the communication interests of my tribal clients however they direct me to do so. Those efforts take the form of writing and distributing news releases, working with the news media, producing videos and publications ranging from brochures to curricula. I write columns, coordinate events, provide communications-related training and provide intergovernmental coordination and lobbying in the State Legislature and Congress as well as other governments and entities. In my “spare time” I hang out with my family, watch sports, go to the gym, spend time in the outdoors, do some travelling and write everything from poetry to novels. Last week in U.S. District Court, Spokane River advocates challenged as inadequate an Environmental Protection Agency (EPA) proposal to remove the industrial pollutants known as PCBs from the Spokane River. They hope for a ruling that will end decades of foot-dragging and produce a reasonable, expeditious cleanup plan for the river. The federal Clean Water Act, passed in 1972, requires that polluted waters be cleaned up so that they are fishable and swimmable. Forty-four years later, the Spokane River still does not have a cleanup plan for PCBs. On April 5 the federal Ninth Circuit Court of Appeals dismissed the appeal filed by Spokane County, Kaiser Aluminum Washington, LLC, and the State of Washington Department of Ecology (State Ecology). The Ninth Circuit decision lets stand the U.S. District Court’s ruling that the EPA cannot substitute the Spokane River Regional Toxics Task Force, a polluter-dominated committee process, for a cleanup plan with enforceable targets for Spokane River PCBs. This case is important because the heavily used Spokane River flows through the second-most populated area in Washington State and is contaminated with PCBs, is an example of the failure of state and federal agencies to fulfill trust duties to protect the state’s waters, and involves the first-ever water quality standards based on fish consumption by humans in Washington State (adopted by the Spokane Tribe of Indians). 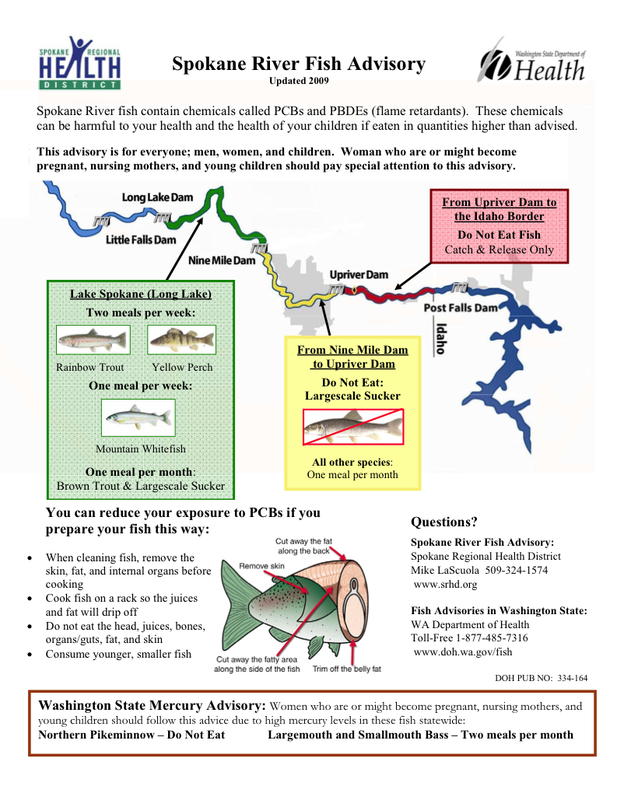 The Spokane River is heavily polluted with PCBs. The federal Clean Water Act, passed in 1972, requires that polluted waters be cleaned up so that they are fishable and swimmable. Forty-four years later, in 2016, the Spokane River still does not have the cleanup plan for PCBs required by the Clean Water Act. PCBs are a group of industrial compounds associated with liver dysfunction and cancer, and are now banned in the United States. Washington State formally recognizes that the Spokane River is impaired for PCBs. When a river is listed for PCBs, the federal Clean Water Act requires binding cleanup targets before issuing any permits that would add more PCBs to the Spokane River. Such a cleanup plan has never been completed for the Spokane River, but state and federal agencies have issued pollution permits anyway, failing to include numeric limits. Ecology is due to renew those permits this year, but the agency is not expected to include numeric limits for toxics. In 2011, the Washington Department of Ecology abandoned efforts to adopt a PCB cleanup plan, largely because of political opposition by Spokane River polluters, who would be required to reduce PCBs in effluent by up to 99% to meet both Washington State and Spokane Tribe water quality standards. These polluters include Inland Empire Paper, Kaiser, and the Liberty Lake, Spokane County, and City of Spokane sewage treatment plants. Instead, Ecology formed the Spokane River Toxics Task Force and required the polluters to participate, but also gave them control over the goals and activities of the Task Force. Subsequently EPA issued discharge permits to three Idaho dischargers – the City of Coeur d’Alene, Post Falls and Hayden Water & Sewer District – also not requiring PCB limits and also requiring participation in the Toxics Task Force. Sierra Club & CELP filed a citizen lawsuit against EPA in 2011. The Spokane Tribe of Indians intervened in support of the citizen lawsuit, and the Department of Ecology, Spokane County and Kaiser intervened to defend EPA. U.S. District Court Judge Barbara Rothstein ruled in March 2015 that EPA’s failure to require a clean-up plan was an abuse of discretion and ordered EPA to submit a plan to the Court by July 2015. EPA, Ecology, Kaiser, and Spokane County appealed the ruling, but EPA withdrew its appeal and submitted a document (which fails to require a cleanup plan) to the District Court. On April 5, the Ninth Circuit Court of Appeals dismissed the Ecology-County-Kaiser appeal in a one-paragraph decision. This means that a CELP-Sierra Club challenge to the EPA’s “non-cleanup plan” document will now move forward in District Court. Last week, Spokane River advocates filed their objection with the federal judge, challenging EPA’s proposal. Meanwhile, Ecology is preparing to issue updated pollution permits to river dischargers in Washington State. The City of Spokane sued Monsanto Corporation because of the river’s PCB pollution. Sierra Club and CELP are represented by Richard Smith and Marc Zemel of Smith & Lowney, a Seattle firm specializing in Clean Water Act litigation. The Spokane Tribe of Indians is represented by Ted Knight.